A Buchanan County woman will likely serve eight years and 10 months in a Virginia prison after being convicted by a Buchanan County jury Thursday evening in connection with the destruction of evidence that was material to a 2011 murder. 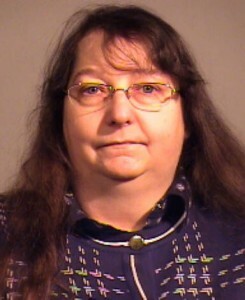 According to Buchanan County Commonwealth’s Attorney Gerald Arrington, Donna Sue Justus, 56, of Hurley, Virginia, was convicted of one count of destruction of material evidence, and one count of conspiring with Donald Young to destroy evidence of the June 23, 2011, murder Danny Paul Justus. According to Arrington, it took the jury approximately four hours to return guilty verdicts on both counts. On Friday morning, the jury returned to deliberate about Ms. Justus’ sentence. Ultimately, the jury recommended a sentence of eight years and ten months, which was just shy of the ten year maximum. Testimony at trial revealed that Donald Young and his fiancé, Donna Sue Justus, were next door neighbors to the Danny Justus family, and that Donna Sue Justus was claiming an interest in various pieces of equipment that Danny Justus and others owned through the Justus Coal Corporation. Testimony also showed that over the course of a couple of years, tensions grew between the parties as a result of the financial dispute along with an ongoing right of way disagreement. Neighbors reported that in the evening hours of June 23, 2011, they heard a large caliber gunshot that piqued their curiosity. They walked to the edge of their yard and saw a black Mercedes stopped near a body lying on the edge of the highway. The Mercedes then continued up the driveway to the Justus residence. In her statements to police, the defendant, Donna Justus, denied seeing Donald Young leave in her car, denied hearing a gunshot, denied seeing Young return in her car, and denied seeing him with a firearm. She also told police that Young had not washed his hands, and that he had not changed clothing that evening. During the 4 day trial, the Commonwealth also introduced a second video that had been deleted, and later recovered, from the Defendant’s cell phone. This video captured the murder, and during the video, Young is clearly heard saying “are you brave now” followed by him firing the weapon. Prosecutors used the home security camera footage to show that after the murder, Young laid the phone down on a barbecue grill and walked into the home. Justus came behind him, picked up the phone, and carried it into the home. Arrington went on to thank the jury for its service and praised the hard work of his staff and the officers of the Virginia State Police and the Buchanan County Sheriff’s Office.